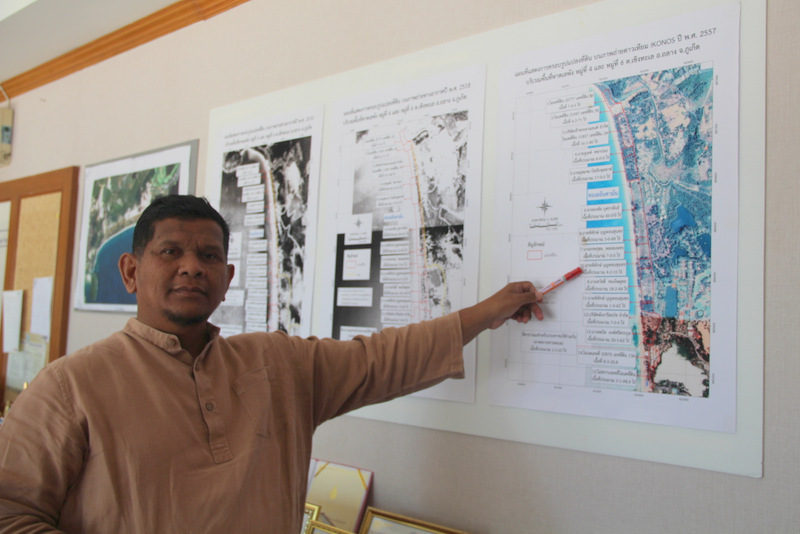 PHUKET: MaAnn Samran, chief of the Cherng Talay Tambon Administration Organisation (OrBorTor) has been directly questioned about his ability to carry out Supreme Court evictions on 178 rai of beachfront land at Layan and Leypang beaches, on Phuket’s west coast. 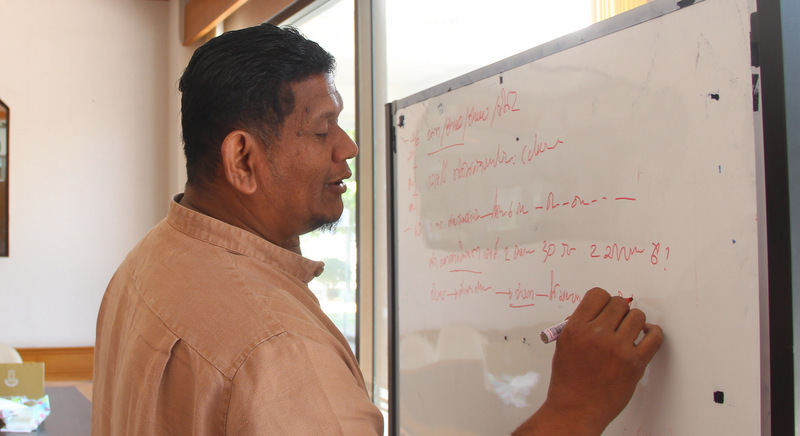 Testing Mr MaAnn on his conviction to carry out the evictions was Wanchat Choonhathanorm, a senior prosecutor at the Phuket’s Public Prosecutor’s office, which operates under the Office of the Attorney General. Mr Wanchat has been tasked with overseeing and ensuring the Supreme Court evictions are carried out. “There have been reports in the media accusing me of taking bribes to not take any action on this issue. That is a [****] lie. I have not taken any bribes. My house does not need the money,” Mr Wanchat said angrily. “Mr MaAnn, you have to follow up with this case. I don’t want new people to claim this land. We are still watching this case very closely. We want to see it done. “It is your responsibility, Mr MaAnn, Can you handle it?” Mr Wanchat asked in full view of the press present at the meeting. 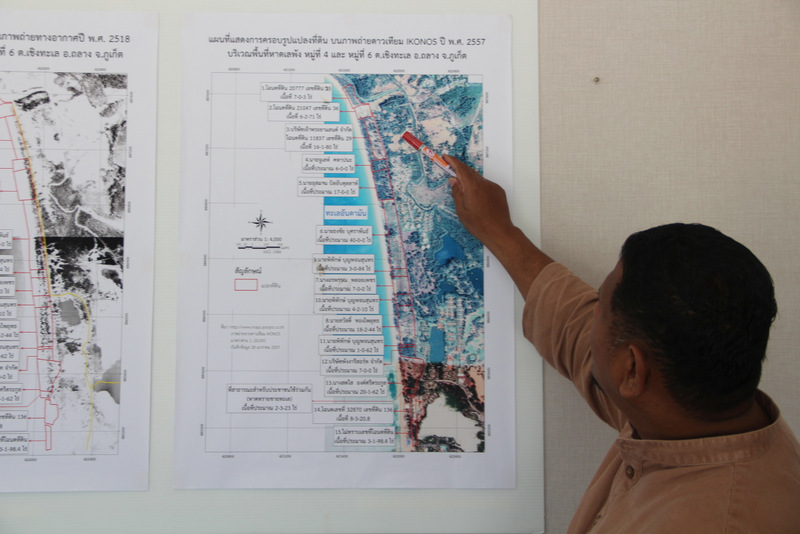 Mr MaAnn explained that he had issued an order for the occupiers to vacate the beachfront plots within 15 days from Feb 13. “They know about this notice and they must move out from the 178 rai,” he said. MaAnn refused to answer further questions about how the demolitions will be carried out and which businesses will be felled first. 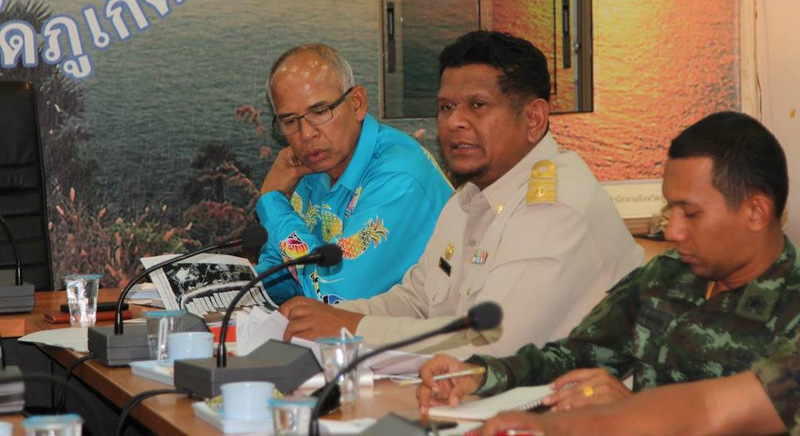 Asked by The Phuket News which areas in particular along the beachfront were problematic, the DSI’s Col Montree declined to comment. “I can't say anything about that. My job is to bring this issue to a conclusion for Mr MaAnn,” Col Montree said. 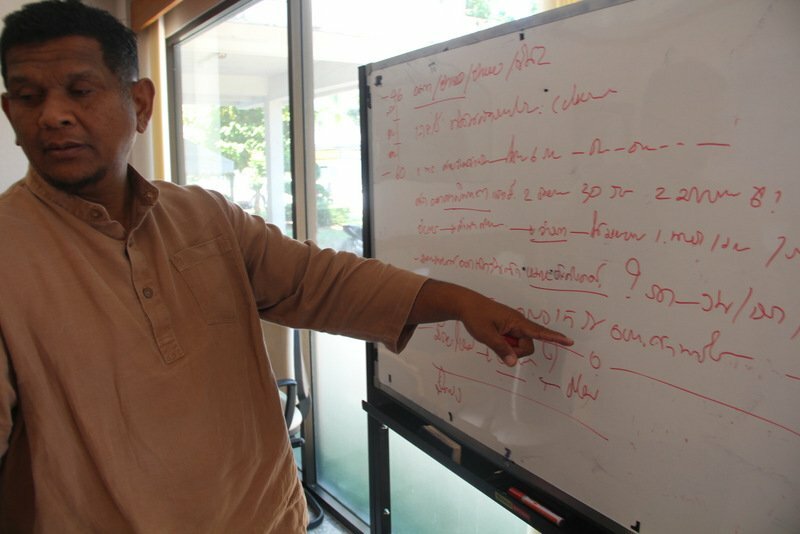 “The DSI is just a tool to make sure that the Cherng Talay OrBorTor can get this done. That’s all,” he added. Sniping from our armchairs is how you try to raise awareness, name and shame,show whats really happening..show how a few selfish and greedy locals are shafting the majority of Thais. What do you propose? That people show up at government offices and file formal complaints? That people take matters into their own hands and stage a formal protest? Sh*! has hit the fan several times over sniping. @********** maybe if more people did raise awareness of issues as opposed to sniping from their armchairs we would see progress. Select a less used beach for Jet-Skis and one for speed boats. 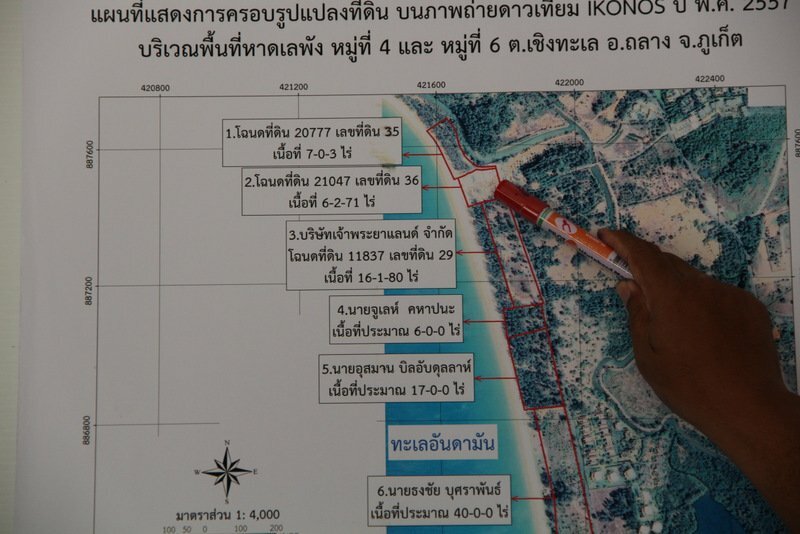 Allow Patong, Kamala, and all the others, to return to safely catering to western tourists. As it is now, western free spending tourism is down by at least 66% costing Thailand billions. They now fo to where they're welcomed. Why don't people here understand such a simple business principle? The same same all over Phuket take a look at Nai Harn,Kata,Karon etc etc money talk, Every thing are back again food stall Jet-Ski scamming tuk-tuk mafian are back on the foot pad. "Has anyone been to check Surin beach recently"Exactly what many retired expats are doing here.Driving around the island to check if everything  is in order.Great life! Is Dream Beach club included or is it exempt as usual? Kamala is reverting as well- more bars and restaurants springing up along the beach, mainly in front of the cemetery. One has opened up again by the middle klong as well. Ma-Ann certainly seems to have a charmed life and is always ready with an excuse. By the way, has anyone been to check Surin beach recently. Looks to me like all the restaurants are back, just cooking food a few yards back from the beach and using tables under umbrellas. Loads of chairs and umbrellas on the beach as well. No follow up on Surin from anyone then? Did anyone say which year the March 5 demolitions will start?